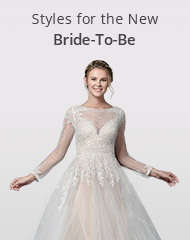 Find your dream dress in the comfort of your own home! Our sample program was designed with you in mind. 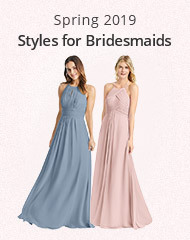 With a collection of over 200 styles, brides and bridesmaids will be able to try on a selection of their favorite silhouettes and colors to find their perfect wedding day look. Not sure about your sizing? 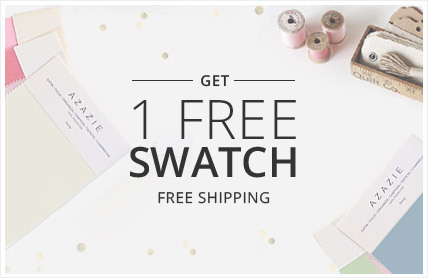 Azazie is an all-inclusive brand, with sizes 0-30 available in all styles, as well as free custom sizing. 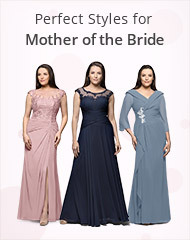 Order sample gowns to try them on, to see which is the best fit for you! 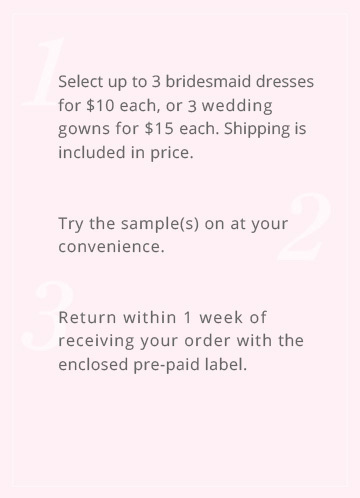 We know that dress shopping can be stressful, but we love the "try before you buy" concept. 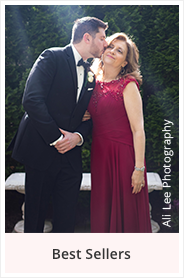 Have a sample party at home with your best friends, and try on your dream wedding dress, and be able to see them in a variety of dresses. 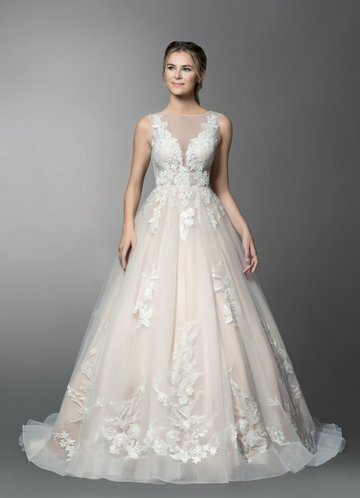 Mix and match styles for a unique bridal party look! With the sample program, you'll be able to see which style is most flattering on each body type. 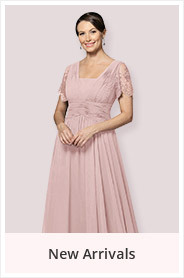 Show off each bridesmaid's unique personality by letting them choose the style they're most comfortable in.